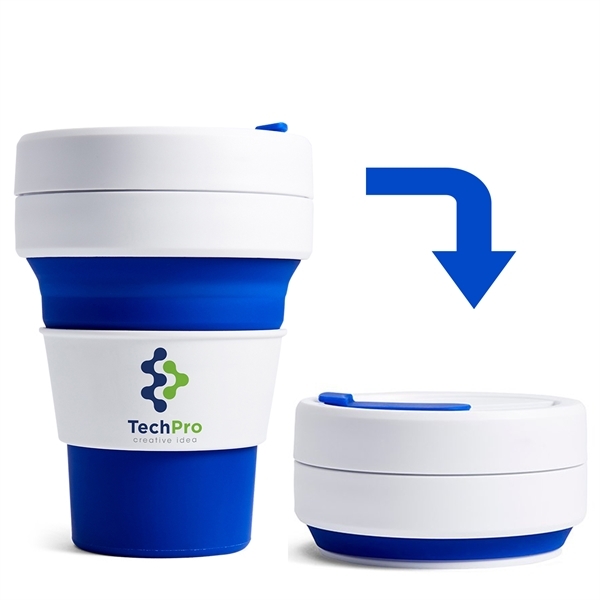 Meet Stojo, the leak proof, collapsible, reusable cup! Easy to use and fun plus you won't contribute another single use disposable cup to landfill waste. Quickly collapses and expands for use - 2" thick when collapsed - stores easily in pocket or purse. Included heat shield that folds down into cup when collapsed and adds stability to the cup. Recyclable. This item requires a minimum quantity of 76.